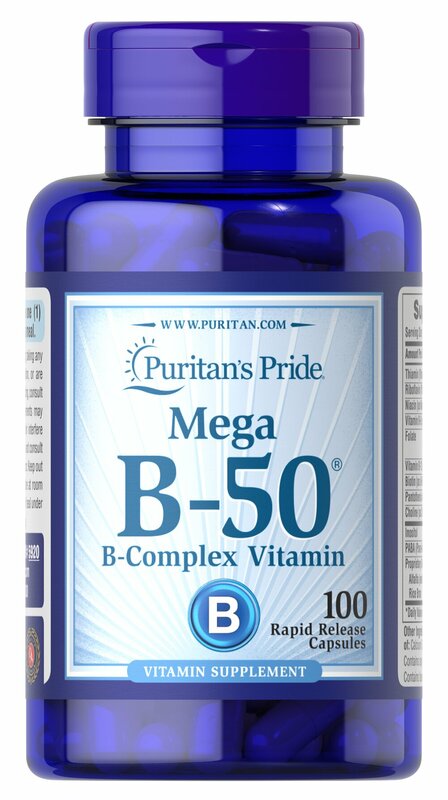 This product delivers 50 mg each of B-1, B-2, Niacin, B-6, Inositol, PABA, Pantothenic Acid and Choline Bitartrate, as well as 50 mcg of B-12 and Biotin, and 400 mcg of Folic Acid. Adults can take one pill daily with a meal. No Artificial Color or Flavor, No Preservatives, No Sugar, No Starch, No Milk, No Lactose, No Gluten, No Wheat, No Yeast, No Fish, No Starch, Sodium Free.